SkyDrive yesterday updated their SkyDrive iOS App. With this new skydrive app, now you can backup all your iOS photos and videos directly to your skydrive account automatically. And one more new feature is, integration with Office Mobile for iPhone and OneNote app. As per their official announcement, this two features are highly requested by many users and hence they added those features in this update. This feature, that is- Automatically uploading photos to skydrive which is taken by your Phone camera is already available in Windows Phone. But now iOS users can also enjoy this features. One more feature you can find on this new skydrive app is, Office mobile for iPhone and OneNote for iOS App integration. Now users can directly open the files from skydrive in Office mobile and OneNote app instead of the Quicklook viewer. Any edit or changes made will automatically updated with skydrive. iPhone is really wonderful device to take high quality photos and videos. Many photographers now using iPhone camera to take beautiful photos. 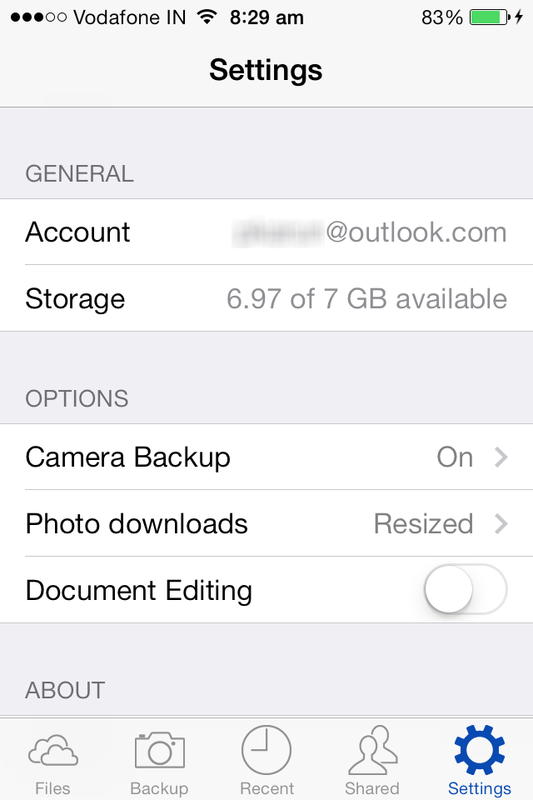 If you are one of those who take lot of photo’s and videos using your iPhone, then this automatic camera roll backup feature may helps a lot when you face shortage of space on your iOS devices. To take backup of your camera roll all we need is- An internet connection to upload your Photos and videos, skydrive app with skydrive account (free up to 7 GB) . First install skydrive app. If you have already installed then update to latest version. Once you update open your app. You will be welcomed with this new feature. 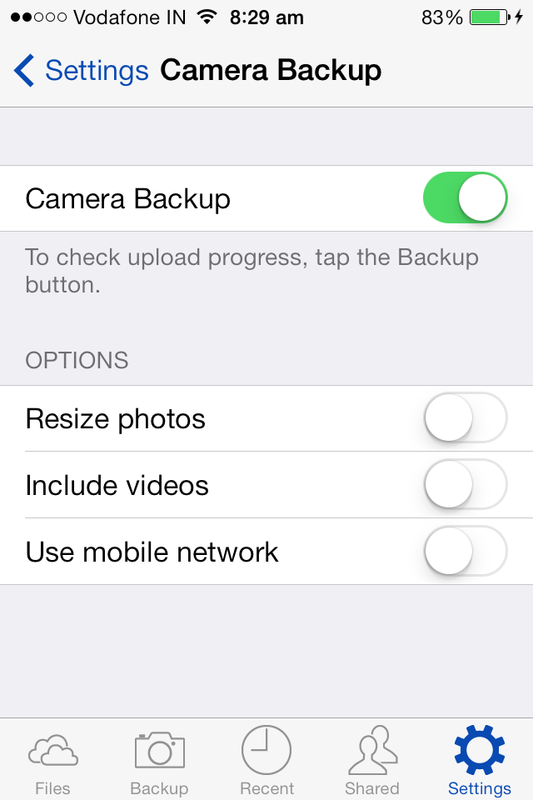 To start using this camera backup feature click OK option. You can also enable or disable Camera Backup feature later by opening Skydrive app >> settings >> Options >> Camera Backup >> Choose On or Off. 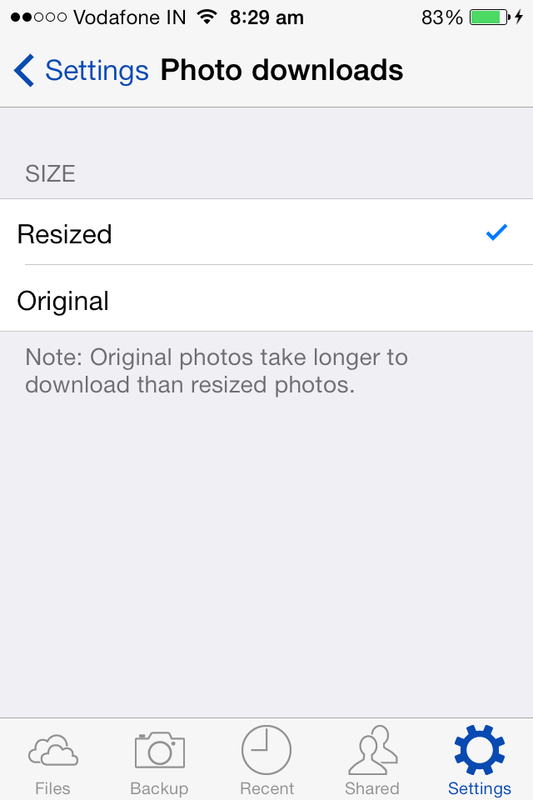 Resize Photos: If you enable this option, then all your Photos in camera roll are resized and compressed to smaller size and then it will upload to skydrive account. This means you will be uploading lesser quality photos compared to original photos. I recommend to turn off this feature if you don’t want to upload lesser quality photos. Include Videos: If you enable this, then skydrive app automatically upload your videos too. Use mobile network: If you enable this option, then your skydrive app will automatically upload photos and videos using your Mobile network. I recommend to turn off if you are in limited data usage plan. In option you will find “Photo downloads” option. If select that option again you will see Resized or Original. It means that, when try to download photos from your skydrive account which version of photo you need to download to your device. Resized version saves time to download and storage space. I recommend to use Resized option here. 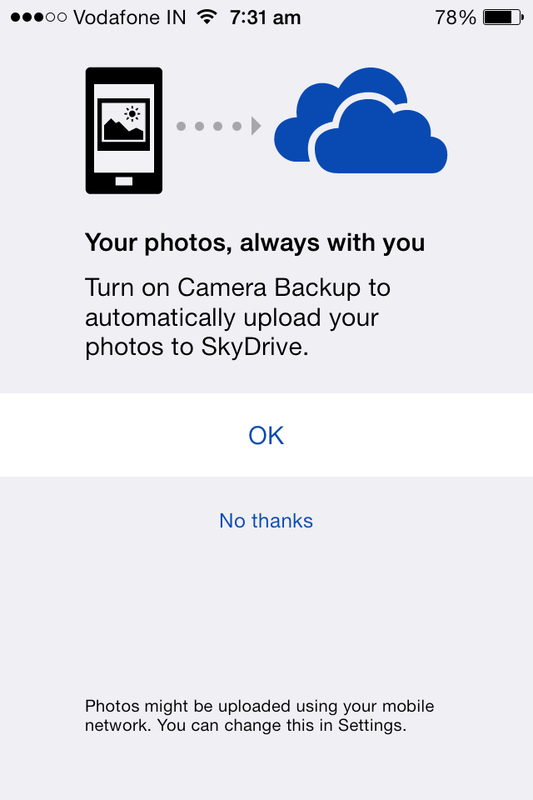 So now every photo you take with your device will automatically uploaded to skydrive account. After uploading photos and videos to your skydrive account using this app you can delete those in camera roll to free up space on your device. You can access all those Photos and videos in skydrive account later.